This is a Graphite drawing completed in 2013. It is part of my series entitled "The Living Machines" . 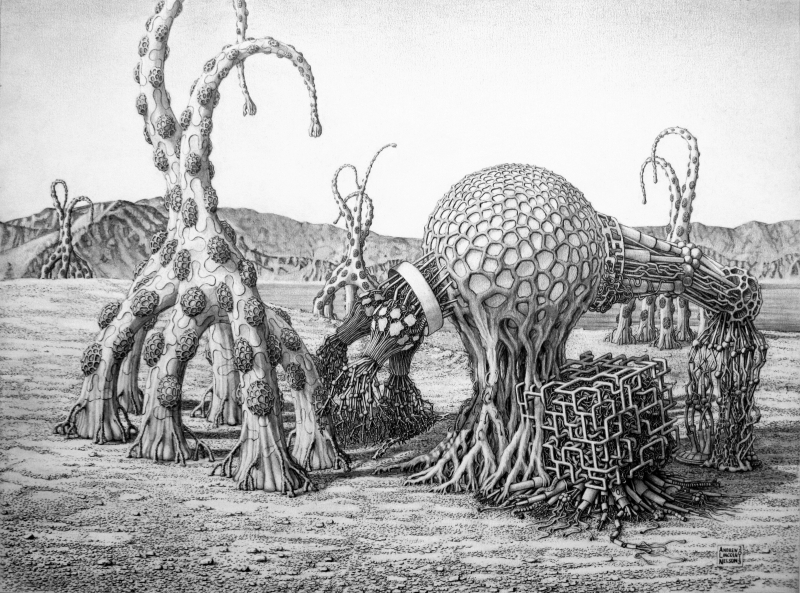 These drawings depict autonomous living machine-like creatures. This particular drawing explores the issue of mobility, plant nature and animal nature. Here, the machine entity is either woven into a plantlike form, or is somehow part of the plant-like form.